Titus the Goat has a terrible toothache. All the farmyard animals are happy to help him get rid of his troublesome tooth, but poor Titus doesn’t want his tooth pecked, butted or pulled out. He grouches and grumbles and grouches and grumbles until Sadie the Hen provides him with some shocking news. The farmer has called The Vet! * Made by Myatt Garden parents 2005. 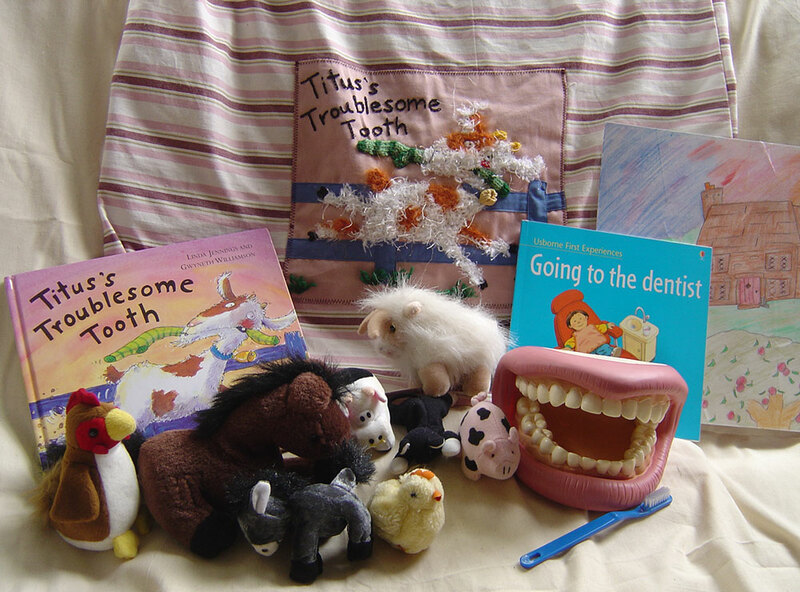 New game, plastic teeth, toothbrush, dental health leaflet added 2007 by Storysacks Librarian Lisa Bennett.